[Solved] Does any one have oot world map 2d? 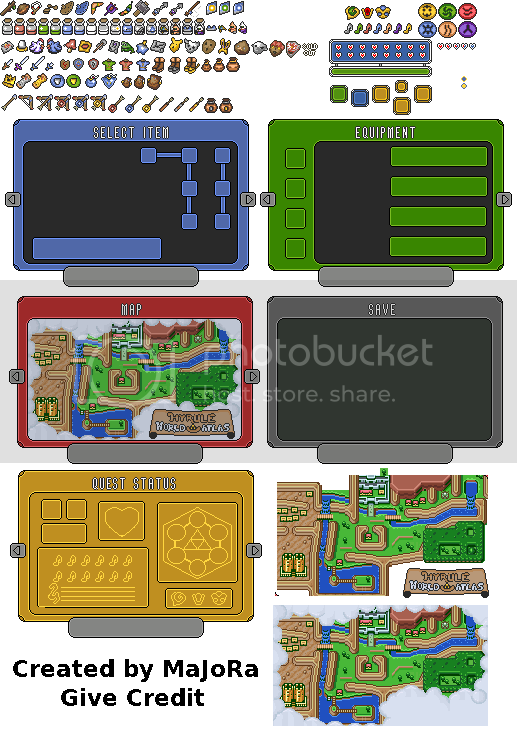 Does any one have oot world map 2d? Thats not jpeg. Majora has one, search the forums for it. Or look in the resource section of the site. I have went over the graphics forums twice and the discussion once i have not found them. Look at TRM's oot2d screenshots then, he has one in there. Yeah i have that but it was rapped by jpeg. Oh wow, that looks really good. Looks great!!! But the gerudo area could use some work. Wow someone actually made that. That's pretty cool!